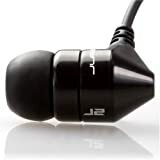 The JBuds J2 are the next generation of the best-selling earbuds of all time on Amazon.com. They come in 12 amazing color combinations to match virtually every MP3 player known to man. On sale now for only $30, which is $50 off MSRP! They are super comfortable and sound incredible. Plus, the new design is killer! Check 'em,out! 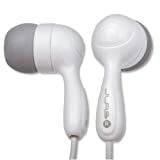 JLab Audio taps earbuds market with noise reducing In-ear buds for $19.95! JBuds are the perfect companion for your iPod or portable media player, combining sleek design, premium hi-fidelity sound quality, passive noise cancellation, and maximum comfort. The soft silicone earbuds fit perfectly inside your ears, allowing you to comfortably enjoy your music non-stop while blocking outside noise.